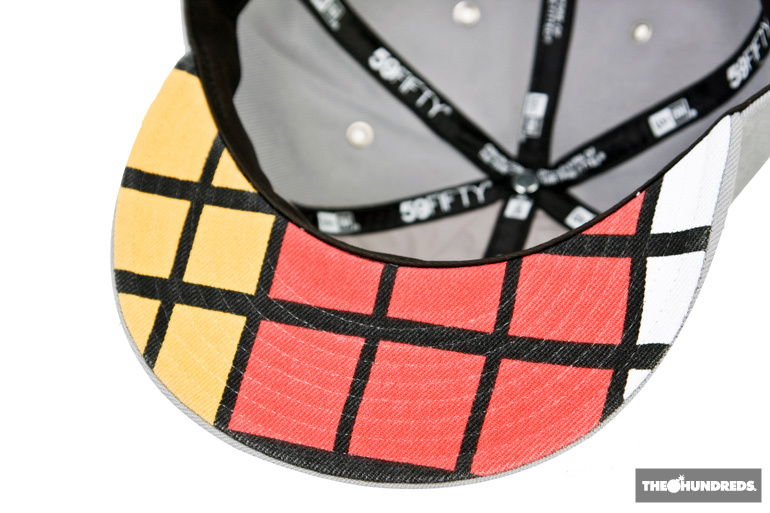 Here, a closer look at The Hundreds x DeLorean Motor Company collection of graphic tees and New Era 59/50 fitted baseball caps. 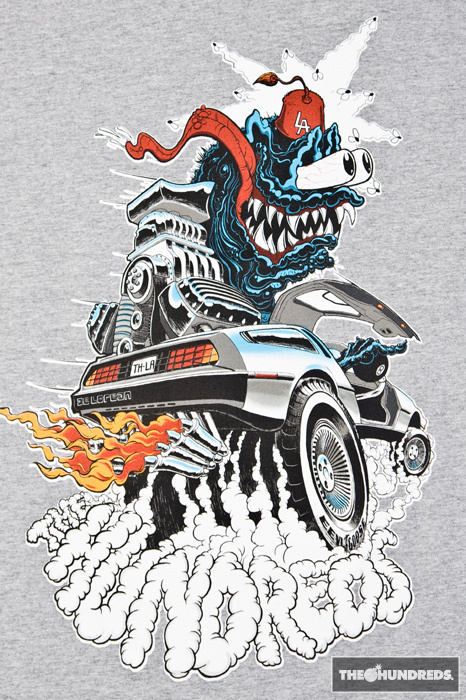 When it came to figuring out a way to partner on an apparel project that made sense for both The Hundreds and DeLorean’s historic franchise, it came down to illustrations. 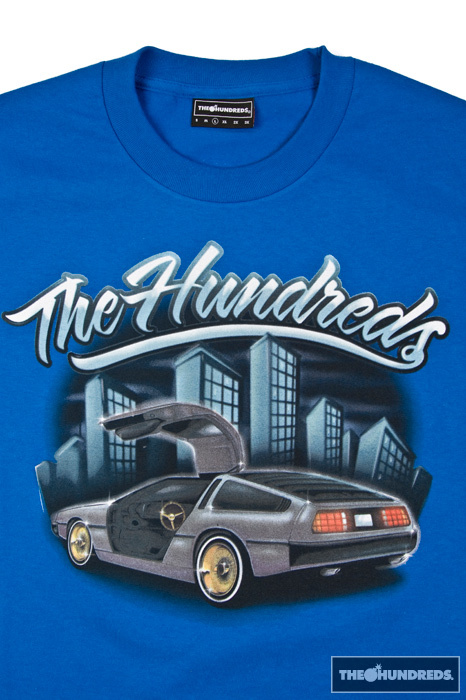 Because of The Hundreds’ roots in California Culture, the art is inspired by classic Cali car culture tees.. The lowrider tee that you pick up at the swap meet, the car show souvenir tee, and even the vintage hot-rod throwback. 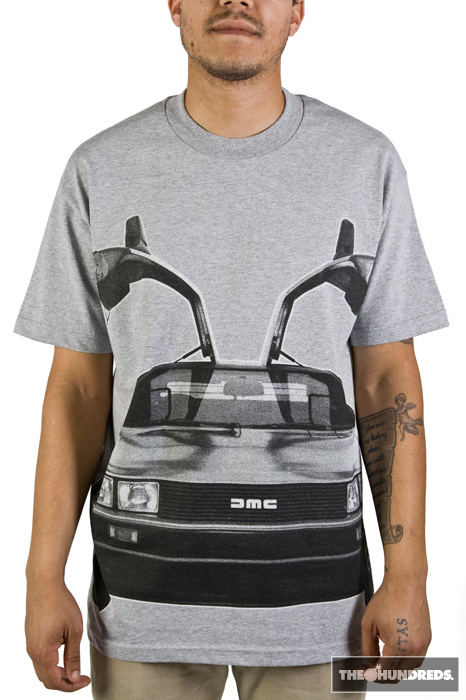 We also chose to dedicate one t-shirt to a blown-up photograph of the actual DeLorean itself, the idea being that the innovative design of this automobile is timeless in itself. 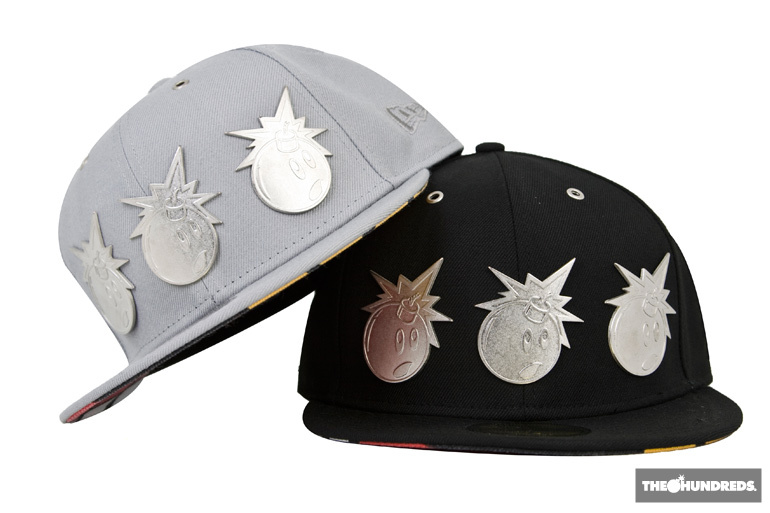 The New Era caps are the first time we’ve ever implemented metal into our hats. It was always something I’d been trying to figure out how to accomplish, and this project was the perfect excuse. 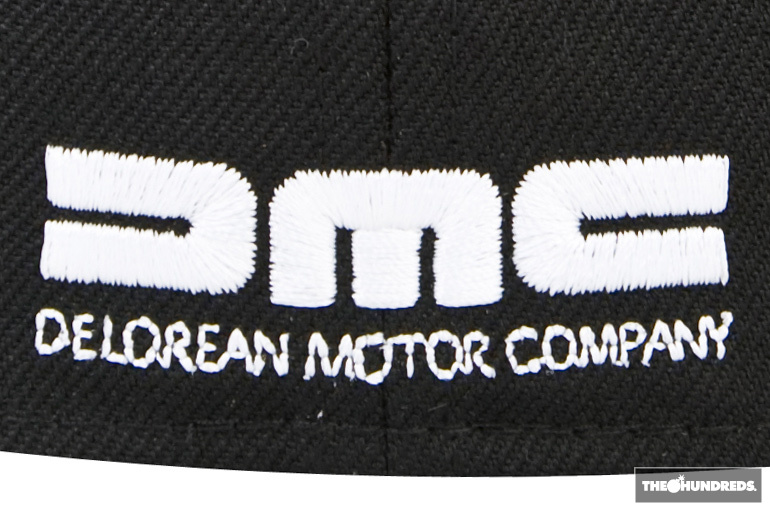 The 3 Adam Bomb icons across the front are an homage to the DMC logo on the car’s grill. The stainless steel also corresponds with the eyelets. The undervisor pattern is lifted straight from the DeLorean’s signature tail lights. 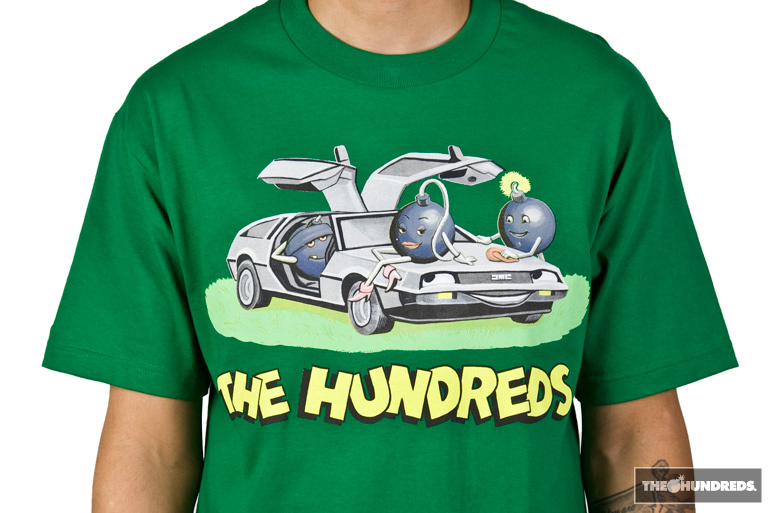 The Hundreds x DMC will be unveiled at THLA and THSF this Thursday morning, as well as select retailers nationwide who have been handpicked to carry the range. 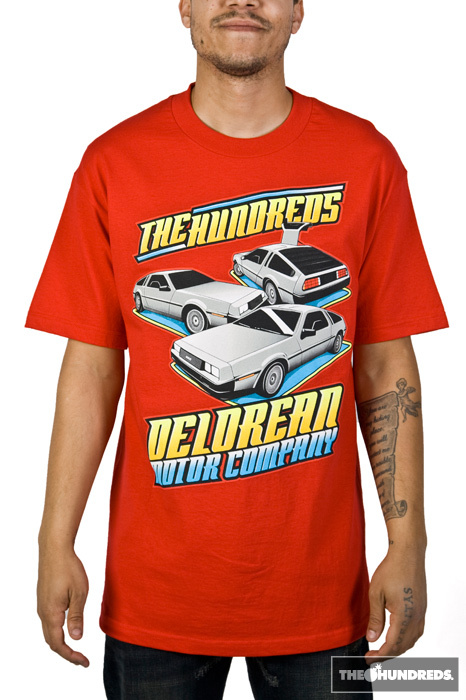 DeLorean’s own website will have exclusive WHITE colorways of each t-shirt design starting Thursday morning as well. Also, The Hundreds DeLorean (yes, an actual car) will be on display at THLA on Thursday for the release, as well as Saturday all day at THSF.